With 'Harrogate' on the horizon, it's that time of the year again. 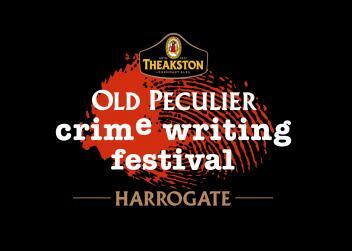 Unlike many other literary awards, with the Theakston's Old Peculier Crime Novel of the Year it’s what readers think that really counts. Voting is now open (up until 11 June) to "determine which books from a longlist of 20 of the best crime novels of the last year will make the shortlist for this year's award" - which will be announced at the Theakstons Old Peculier Crime Writing Festival, to be held in Harrogate from 22-25 July. Anyone around the world (with an Internet connection) can go here, to vote for their favourite from the 20 great crime novels that are on the longlist. Only 8 books can go through to battle it out for the big prize and readers get to say which ones. As they say, "The outcome is in your hands and this time there’s no chance of a hung result. What are you waiting for? It’s not just your right, it’s your duty!" So who are your favourites? How many of the above books have you read? Which are on your TBR pile (several are in mine already)? Thoughts and comments welcome. I've only read five of the authors and only two of the listed works: Peter Robinson's _All the Colours of Darkness_ and Tom Rob Smith's _Child 44_. Of the five authors I have read, I would list Peter Robinson as my favorite, with John Harvey coming in second. I've read Robinson, Rankin, Harvey, Hayder, Billingham, and McDermid - but not those particular books listed from them. I have an RJ Ellory one on my bookshelf, but a newer one than that (it's strange - the Theakston's Awards sometimes seem about two years behind, rather than last year's books - e.g. IN THE DARK came out in 2008, and was even up for the 2009 CWA Gold Dagger). Have Kernick's TARGET and a couple of others from the shortlist on the bookshelf in front of me. Seems a pretty strong list - will be interesting to see who/what makes the cut to the final 8.